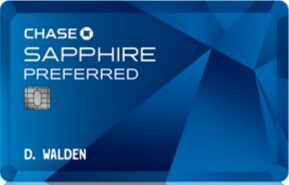 The Chase Sapphire Preferred card is one of my favorites. It earns Ultimate Rewards points that can be transferred to a number of frequent flyer and hotel programs. The points can also be used as cash to reimburse flights or hotel rooms at certain locations. It earns double points on travel-related items (airfare, hotels, taxis, parking, tolls, etc.) and dining (which is where I really rack up the points). One of the great benefits of the card has been that each February you receive a bonus of 7% of the points you earned the previous calendar year, even if you’ve spent some of them. So for non-bonus spends you actually earn 1.07 points and for bonus categories it’s actually 2.14 points per dollar. Sadly, this benefit is going away. That’s a shame and I hate to see it go. But the card is getting a new benefit – one that’s actually worth something and not just a new spin on an old benefit. When renting cars with the CSP the card now offers PRIMARY rental insurance. This is a great addition! It’s especially helpful overseas where it could be much harder to fight an insurance claim, simply due to distance. At least Chase has given us plenty of notice for this change. While new cardholders will not get the 7% bonus, those who already have the card will get the bonuses in February 2015 and 2016 before it goes away.